Australian punk rock band The Living End formed in 1994. Since 2002 the line up consists of Chris Cheney, Scott Owen and Andy Strachan. The Living End have been around nearly 25 years. They’re into what would probably be ‘dad rock’ territory for most other rock bands. Of course, The Living End - the iconic trio of Chris Cheney, Scott Owen and Andy Strachan - have never been most other rock bands. 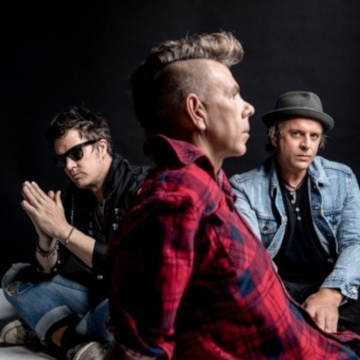 Their eighth album, Wunderbar does what The Living End do best, what’s kept hundreds of thousands of fans listening for nearly a quarter of a century: straightforward, heart-pounding, guns blazing rock and roll. It’s what The Living End are known for. It’s what they’re good at. It’s what they love. And Wunderbar is their best straightforward, heart-pounding, guns blazing rock and roll album yet.